The Lunar New Year is once again fast approaching, and this time, tomorrow is the date to ring in the Year of the Dog. Latest data from Airbnb estimates the Chinese New Year week as one of its biggest periods in Hong Kong, in terms of inbound guest arrivals. 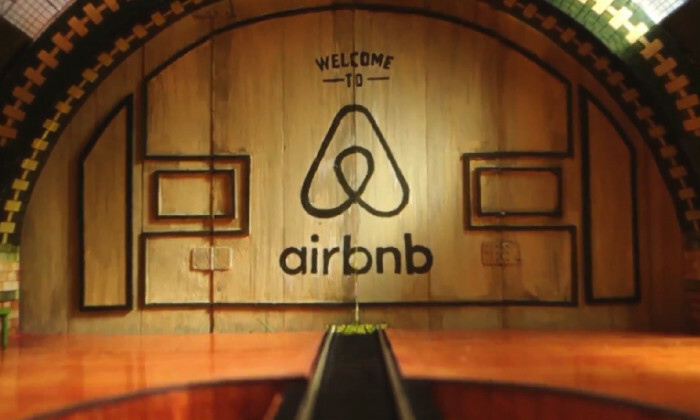 The company expects that almost 15,000 guests will stay at Airbnb listings in Hong Kong from 14 February to 20 February bringing in a combined US$1.6mn (HKD$12.5mn) in supplemental income for the local host community. This represents a 54% increase (or 1.54x) from the average 7-day period in 2017. Over 53% of guests are from China, which tops the ranking, followed by 7.5% from the United States, then Hong Kong (5.4%), Philippines (4.3%) and Malaysia (4.3%). As for outbound Hong Kong travellers, Japan tops the list of favourite country destinations with over 10,000 Hong Kongers staying at an Airbnb listing in Japan. This is followed by nearly 3,500 Hong Kongers staying in an Airbnb listing in Australia this festive season. Rounding off this list are Taiwan, Korea, Thailand, New Zealand and the United Kingdom. Digging deeper to the city level, Osaka and Tokyo are the top two most popular foreign destination cities, with nearly 6,000 travelers choosing to stay at Airbnb listings in these two cities during CNY. There will also be nearly 5,000 Airbnb guests staying at homes of local hosts in Seoul, Taipei, and Fukuoka, respectively. Gina Tsai, Airbnb head of public policy in Hong Kong and Taiwan, noted that the Japanese diet has passed a new bill that supports short-term rentals nationwide and the new bill is expected to unlock huge opportunity for Japan’s tourism industry, allowing more international tourists to experience the country authentically. Tsai added that Japan’s choice to embrace the global trend to transform from mass travel to healthy travel can be a great example for Hong Kong to follow. The Washington Post to open bureau in Hong Kong "in early 2018"
More on the new hires. ..
Cullen and Tranter will both report into Annette Male, CEO APAC and Ronald Ng, global chief creative officer, Digitas. ..